I went to a wonderful Chinese restaurant the other day. I’d recommend it to anyone. It’s the kind of place that you take your girlfriend on your 6-month anniversary, trying to be cute and funny instead of romantic. It doesn’t seem like much, but it’s still your and her favorite restaurant because it’s cheap, and it’s delicious, and it’s awesome. If a politcian were trying to appeal to the Hong Kong population as an egalitarian, he/she would be seen at Yum Yum Hong Kong Diner, eating Pak Choi with children. But, this isn’t why I cant wait for another Chinese Food craving. My affinity for Yum Yum Hong Kong Diner keeps its foundation in a something much more fundamental than the physical nourishment that it gives me; emotion(al nourishment)*. Here’s a secret my handsome readers, I’m really bad with chopsticks. Everyone who I’ve ever eaten Asian food with though thinks I’m amazing with them, but I’m a liar. 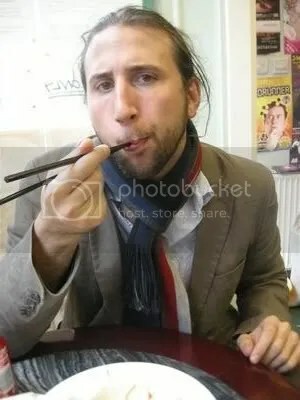 They don’t think I’m a golden god because they’ve seen me use Chopsticks. They think such things because I’ve told them that I’m good with the sticks. 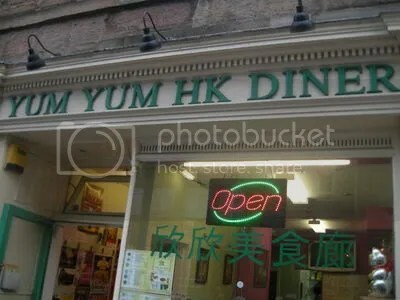 This point was never better expressed in my life than when I went with my flat-mate Glenn to Yum Yum Hong Kong diner on Sunday night. I had been running behind because a very cute little French stranger had asked me if she could use my computer to charge her iPod. Naturally I said yes, and preceded to fill the remaining space of her iPod with They Might be Giants, The Aquabats, and some of our other finer American exports. Based on her precious French face and her inaptitude with the English Language, I figured that she would appreciate Ska. I had also recently gotten William Shatner’s spoken word/punk rock album Has Been, which I also put on the Pod. If that’s not a way to perpetuate ethnocentric stereotypes, I don’t know what is. I met up with my friend Glenn who was smoking a cigarette outside of the restaurant. YYHKD, as I like to call it is slightly hidden off of one of South Clark Street’s many arteries. It’s a very small, unrecognizable Chinese restaurant, while at the same time, hard to miss with it’s entire menu plastered on it’s window and a large sign that looks like it was designed by a fourth grade art class. It was my first time at the YYHKD, but apparently Glenn was a regular. The small Asian/Scottish man named Tim had our order on the table within seconds of our arrival. Though our food was indeed hastily placed on our table, the relative time that it took for our food to arrive was lessened by my captivated with the Chinese game show, broadcasting on the television in the middle of the restaurant. With the amazing display of colors, movement, and excitement, it’s hard not to be captivated by Chinese television. I do not know how epileptics could possibly survive in that culture. Seizures must be hourly. Glenn’s “usual” consists of some sort of beef in barbeque sauce, noodles in oyster sauce, and other such small, evasive foods. This was when the trouble began. Remember, I am NOT good with chopsticks, but I have too much pride to admit such an imperfection. I asked Glenn why there weren’t forks on the table. His obvious and appropriate response was, “why would there be?”. I told him that it’s weird that they wouldn’t have a fork for those people who aren’t good with chopsticks. He said “can you not use chopsticks?” I reacted offended – like I had blown my cover. I yelled “I cut my thumb, Glenn!” with more enthusiasm than I probably should have. People stared, and rightfully so. That’s a strange thing to yell under any circumstance, especially in such a small venue like the YYHKD. I looked at the chopsticks, then looked at my food, then looked at Glenn, who at this point was eating, but also staring at me in the face, waiting to see how I handled the chopsticks with my “injured” thumb. “Hmmm, it smells good” I said, trying to shift the focus, which yielded little to no results. I looked at the television and said, “Man, Chinese game shows are crazy”. Glenn looked at the TV, so I took a dive at the barbeque beef. I pierced it with one stick and sideswiped it with the other. I attacked it like a mountaineer hunting fish. I let out a victorious “hah!” like I had just proved an arduous theorem to the entire YYHKD viewing audience and went for my mouth. No less than an inch from my face, I lost grip and the beef flew from the chopsticks towards the nearest table, which seated a family of three. It landed on the plate of the daughter, who couldn’t have been older than 5. She was eating something that was especially juicy, or she was just finishing soup, because something splashed into her face. For a second, there was silence, and I was hopeful that I had gotten away with it, but then she started crying. I’m not sure what for. If she was eating soup, it couldn’t have been too hot since she was almost finished with it. The mother tried to calm the daughter while the father aggressively searched around the restaurant for tomfoolery. I looked at the TV, pretending to be oblivious to the situation. I had been so attentive to the Chinese game show thus far that it seemed to be a fairly good cover up. Glenn stared at me. We looked at each other with a moment of silence. I was pretending that I didn’t know why he was staring at me. He was pretending that I hadn’t just ruined the entire meal. Both of our thoughts were being drowned out by the wailing toddler. After about 10 seconds of impenetrable tension, Glenn took initiative and asked our waitress for some to-go boxes. With empty stomachs, we raced home in silence. We arrived at our flat and, like it had been our plan all along, I went straight for the DVD player while Glenn went into the kitchen with our lukewarm Chinese food. He arrived with a pair of forks, and two plates. We watched the rest of The Fellowship of the Ring from where we had left it the day before and pretended that I hadn’t just ruined someone else’s family supper at YYHKD. I don’t know if I’ve ever been more content in my entire life. Glenn was right, it was the best Chinese Food I have ever had. *I added this entire paragraph to make note of the fact that YYHKD is actually a brilliantly tasty and cheap Chinese restaurant since I wrote the entire essay without ever mentioning my opinion on the matter whatsoever. Welcome to maximalism. Look it up. I have a skewed idea of what Sweden is like. 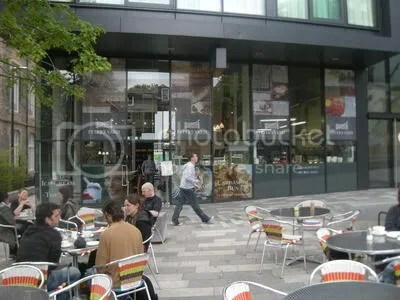 I haven’t been there yet, but between IKEA display floors, Volvo, and a little coffee shop/bakery in Edinburgh called Peter’s Yard, it seems like a country-sized amusement park*. 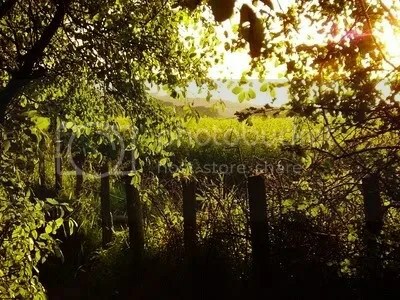 In fact, I don’t know if I’ll ever go, because I’m terrified of the possibility of me being disappointed, which is inevitable since right now, I consider the place Eden. It’s the same sentiment that I hold towards anything that seems 100% awesome on introductory glance. Another good example of this is Shark Week on the Discovery Channel. As of right now, I haven’t watched Shark Week, but based on what people tell me about the television phenomenon and what I’ve seen advertised, it sounds like the coolest, most captivating week ever. My brain says that I could be sitting on my couch flicking through stations when all of a sudden, I find myself on the Discovery Channel and I hear a knock at the door. I go to answer it and it is the mailman, with a package for me. I go to sign for the poorly mangled looking box and I realize that MY HAND HAS BEEN VIOLENTLY BITTEN OFF and I am wearing swimming trunks. I start to panic, but the mailman insists that he’s got a job to do, and that I need to just relax and sign off on the package so that he can go home and watch the Cubs game. I scribble a signature with my left hand, open the package, and wouldn’t you know it, IT’S MY HAND, with a small posted-note taped to my finger that says, “welcome to shark week”. Anything less than this would be a disappointment. This is vaguely similar to how Peter’s Yard makes me feel about Sweden. 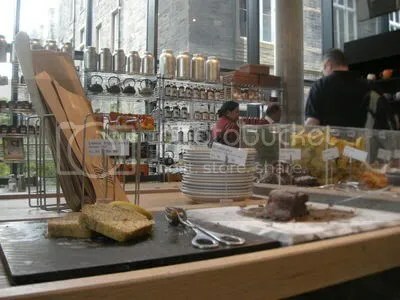 Peter’s Yard is an infinitely lovely bakery/coffee shop on the Quartermile in Edinburgh. 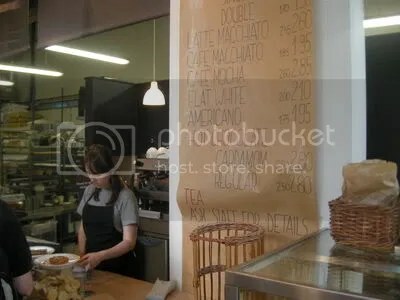 It’s owned by a Swedish entrepreneur, and with its 30 foot, warehouse-like ceilings, permanent display of freshly baked breads and cakes, and simply delicious coffee and ice cream, it makes me judge its entire country of origin impossibly well. Peter’s Yard first attracted my attention when I realized that I was taking on a bit of a Vitamin D deficiency from lurking in the corners of many of the other, windowless, cafes. Had it not been for necessary structural supports, Peter’s Yard would be a giant translucent box. Instead of pictures of African landscapes, coffee bean farmers, and avant-garde artwork controlling the walls (which seems to be the protocol for local coffee shops), Peter’s Yard has a display of pastel teapots, gourmet conserves and cordials, and cookbooks and manuals on how to make leaf patterns in the froth of your java; something I’ve been desperately needing to learn to do. Between the constant sunlight exposure, and the transparency of the wall separating the kitchen and the dining room, P-Yard seems like the greatest Swedish country breakfast nook you’ve ever seen. M – Hey Ben, do you want some wine? B – Sure, do I have to pay? I’m pretty poor. M – Hehe. No. Do you like white? B – I like free. M – Are you going to stick around for a little while? There is a three-piece Jazz band here tonight, and they are really good. B – What? Seriously? There is a three-piece Jazz Band here tonight? Is that common? B – Is it free? B – What are your thoughts on Harry Potter and the Sorcerer’s Stone? I’ll just let your brain take the rest of that conversation wherever you’d like. Maybe it was the wine, or maybe it was the jazz, but I like the fact that I can talk to a stranger in Peter’s Yard about how Hockey is the closest sport to quiddich. I like the fact that the children are always smiling as widely as the mothers, I like the fact that there’s often a professor filing through literature on a topic for his next book, and I like that there seems to always be a group of people having a seemingly important conversation in another language. Two days ago, I had a long conversation with a stranger about the evolution of children’s books from our childhood and the difference between American and British education systems. This isn’t by pure incidence that these conversations happen. The communal table in Peter’s Yard and the communal aura that the setting creates facilitates it. Maybe I did Peter’s Yard an injustice by writing about it the way I did. Peter’s Yard is a gourmet coffee shop, which I failed to elaborate on. The fact of the matter though, is that the gourmet delicacies aren’t the reason I go to Peter’s Yard every morning. In fact, ordinarily gourmet is a strike I my book. I love the taste of gourmet food as much as the next guy, and Peter’s Yard certainly has some tasty product, but in my experience, with gourmet, comes The Financial Times and impenetrable egoism. Maybe these people come to Peter’s Yard too, but I haven’t really seen. The coffee is really good, and the Valrhona Chocolate Sorbet is certainly worth having again, but the strangers that I’ve talked to about books, and the fact that I feel like I’m sitting in Peter’s family dining room are why I go there. I simply feel more comfortable there than I do in other cafes. Since having started writing this, I watched about an hour of Shark Week. It was pretty cool, aka, it wasn’t as awesome as I thought it would be. I knew it wouldn’t be. Why even bother with expectations when I know that my imagination is just going to turn it into an event that supersedes perfection? Places like Peter’s Yard and the kitchen display floor at IKEA really build my hopes up about Sweden. As of right now, it is a country of unmarred tranquility where everything is made of stainless steel, and in every café, a three-piece jazz band is about to play**. That sounds about perfect in my book. Maybe I should listen to Abba more often. I’m sure that will pull me back to reality. *If your idea of amusement is to eat fresh bead and drink coffee in while sitting in modern, pear colored furniture, which mine is. **The exact opposite of Shark Week. For the first hundred or so times that I walked past the massive castle that sits on a hill in the middle of the beautiful city of Edinburgh, my first thought was always, If, hypothetically, I did hear a beautiful shrieking damsel right now, how would I scale the first layer of rocks? Was there a side of the castle that was less steep to traverse? If so, does that mean that there would be more guards on that side? I would probably have to surprise them by starting on the steepest part of the fortress, but this would mean that I would need an ice pick, or at least something that could claw at the granite foundation. Should I start carrying an ice pick just in case? I wasted a lot of time mulling over how I’d dodge and fend off flaming arrows with a battered American flag shield, while still ice picking my way up to the stereotypical royal princess vixen’s chamber. I should watch Lord of the Rings less often. Swept between the 5 century old stone walls of this oversized shire, much like a collector’s edition Beastie Boys record that you are trying to hide from your conservative Midwestern grandparents is Analogue Books; easily one of the most progressive and modern art books store that I’ve ever seen. Though the store itself is as pristinely kept as a model IKEA reading den, the books of art themselves are wonderfully filthy, profiling the work of the best street artists, graphic designers, candid photographers, and urban thinkers from around the world. 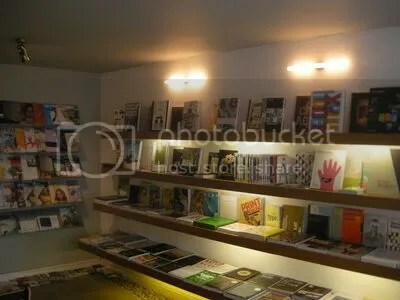 Upon entering the store, you are bombarded by a web of colorful book covers that range from Japanese children’s books to books of creative skateboard deck art to textbooks on graphic design in the internet era; mostly none of which I have seen anywhere else. One of my recent revelationary obsessions is with a wonderful documentary called “Beautiful Losers” that gives the history of Alleged Gallery, a now defunct art gallery in Manhattan’s lower east side, which was run by street artists and skateboarders, and is now, arguably one of the most important driving forces behind the wave of such art that Analogue subscribes to. In my initial browse, I found a book on the work of Ed Templeton, Skate legend, and star of “Beautiful Losers”. His book, Deformer, is an amazingly personal chronology of images and words describing Templeton’s rearing of himself as an artist. It’s also a very bizarre montage of images that makes you feel like you are staring at Ed Templeton’s personal life through a very outré Truman Show-esque lens. After discussing how awesome the Toy Machine deck graphics are (Templeton’s skateboard company) with the store’s owner Russell, I started browsing through another one of my favorites, David Shrigley. Shrigley’s work has the same sentiment of an incredibly self-aware, pre-pubescent, poet. His drawings and accompanying monologues are small, often grotesque commentaries about issues that you didn’t think deserved commentaries. If you were to vocally criticize his work, it’s because you know that he is smarter and more interesting than you. I think he is awesome, and I spent 5 months looking for a book of his work before seeing it in the window display at Analogue. Goddamnit. 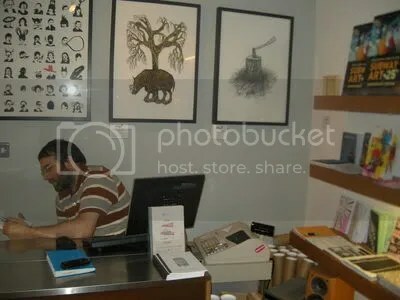 Russell and I had another lengthy chat about artists like Marcel Dzama and David Shrigley in the world of outsider art, which turned into the Vinyl Toys and how cool Japan is, which turned into me telling Russell that he was a visionary for owning such a store. Russell won the word battle and I reluctantly backed down from my claim of his prophetic entrepreneurship (he’s a humble dude), but nevertheless we agreed on the importance of having a place like Analogue in Edinburgh and furthermore of the importance of having this style of art in the world. See, the castle is far from the only thing in Edinburgh that makes you feel like you have walked into a pre-neoclassical stone enthusiasts convention. Edinburgh is a major European tourist junction, so everywhere you go is shrouded in some sort of Edinburgh relic. Analogue isn’t just a bookstore; it’s tribute to a culture and international youth community. So when you are done touring the castle and drinking your standard denomination of Scotch on the rocks, go talk to Russell about things that you don’t know enough about.